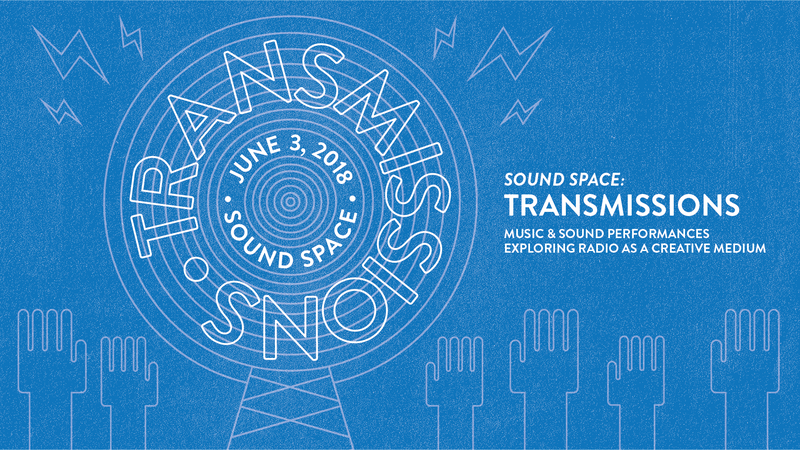 The Blanton’s innovative and acclaimed music program returns this summer with SoundSpace: TRANSMISSIONS, exploring the history and future of the radio as a medium to share propaganda, mass culture, and even underground music. Program curator Steve Parker has assembled an eclectic group of musicians and performers who will use sound waves, transmissions, and frequencies as the material for their compositions. Brent Baldwin, award-winning conductor / composer / musician and Panoramic Voices will premiere a new work by Baldwin that utilizes the cell phone “party line” to create an aleatoric vocal work. Doug Laustsen will exhibit The Opposite of Forecasting, a project that is a sonification of the current weather in Austin, TX. Audiences will be able to listen to a musical translation of the weather on headphones at outdoors stations in the museum’s plaza. Travis Weller will premiere his fourth low-power FM broadcast chamber work. The live performers will be playing the piece concurrently in far flung locations while the wandering audience listens over wireless headsets. Raquel Bell, experimental sound artist and performer, with duo Galecstasy with Chairy Marshall and the live antics of No Promises Productions will explore paranormal and gospel call in radio shows. Members of Ensemble Pamplemouse, an NYC composer collective, will data-scrape from internet radio to power analog synths. Monte Espina (Ernesto Montiel & Miguel Espinel from Dallas, TX), a free improv duo, will utilize objects, portable radios, instruments, and radio signals. Mark McCoin will examine the use of radio as a ghostbox. A ghostbox, also known as spiritbox or franksbox, is a device used to communicate with spirits. Using radio frequencies and white noise through an electronic medium, it’s believed that ghosts can manipulate this energy to relay messages and answer questions. Henna Chou, a musician and curator residing in Austin, Texas will premier new work. She has performed and written music for theater productions, created string arrangements for bands albums and film projects. Chou often participates in live performance as a keyboardist, cellist, guitarist, or sound artist and is the Managing Director of COTFG: an avant-garde music program sponsored by the 501(c)(3) organization, Salvage Vanguard Theater in Austin, TX. Radio announcers from KMFA 89.5. KMFA 89.5 is an independent public classical radio station. KMFA serves approximately 100,000 listeners each week and features both locally produced shows like Classical Austin, Film Score Focus, and Classical Guitar Alive, as well as nationally distributed programming from Public Radio International, American Public Media, and National Public Radio. Share your experience on social media and tag us with #blantonsoundspace! What a hoot!! I’d love to participate but have only an old “flip phone” (for emergencies). Guess I’m still 20th century.